Important note: This information was last updated on Nov. 8, 2018. Contract opportunities which have expired are crossed out. Newer opportunities are listed toward the bottom of this column, along with instructions for finding additional opportunities. Details: Sealed proposals are due in the office of the Purchasing Director, located at the Savannah Morning News Building, 1375 Chatham Parkway, 2nd floor, Savannah, GA 31405 no later than 1:30 p.m. on Tuesday, October 16, 2018. The names of the respondents will be read at the public bid opening shortly thereafter. Proposal packages are available at the office of the Purchasing Director, or may be downloaded from the City’s Website at www.savannahga.gov. Georgia Procurement Registry website at http://ssl.doas.state.ga.us/PRSapp/PR_custom_index.jsp?agency=61100 or the Macon-Bibb County Procurement Page at www.maconbibb.us/purchasing A pre-bid conference is scheduled for 10:00 o’clock a.m., Wednesday, October 24, 2018, in the EMA Headquarters next to Government Center located at 700 Poplar Street, Macon, GA 31201. This pre-bid is mandatory; contractor must be present in order to submit a response. Details: The Thomas County Board of Commissioners, Thomas County, Georgia, request proposals from qualified contractors for Debris Removal and Disposal Monitoring Services required as needed after a disaster. It is the intent of this solicitation to enter into a contract for the monitoring of the removal and disposal of certain debris more particularly described in this Request for Proposal. This solicitation by the County will result in the selection of at least one experienced firm to monitor the removal and lawful disposition of disaster-generated debris (other than household garbage) from public property and public right-of-ways and to undertake such other activities as may be deemed necessary by the County in connection with the provision of such monitoring services. To request the RFP documents, e-mail monnette.monahan@thomascountyga.gov. Details: The Thomas County Board of Commissioners, Thomas County, Georgia, request proposals from qualified contractors for Debris Removal and Disposal Services required as needed after a disaster. It is the intent of this solicitation to enter into a contract for the removal and disposal of certain debris more particularly described in this Request for Proposal. This solicitation is for and experienced company for removal and lawful disposition of disaster-generated debris (other than household putrescible garbage) from public property and public right-of-ways and to undertake such other activities as may be deemed necessary by the County. To request the RFP documents, e-mail monnette.monahan@thomascountyga.gov. 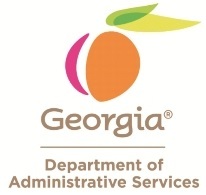 To locate more contract opportunities like these inside the state of Georgia, visit the Georgia Procurement Registry at http://ssl.doas.state.ga.us/PRSapp/GPR_P_start.jsp. In the search field entitled “Search Title and Description,” type in a word like “debris” and hit the Search button. The Small Business Administration’s Office of Advocacy has released a new report on veteran-owned businesses. The report gives a detailed profile of this robust business population based on the latest available data, the U.S. Census Bureau’s 2012 Survey of Small Business Owners. In 2012, the United States had 21.2 million veterans, and 2.52 million businesses were majority-owned by veterans. Almost all of veteran-owned businesses (99.9 percent) were small businesses. Veteran-owned firms had receipts of $1.14 trillion, employed more than five million people, and had a combined annual payroll of $195 billion. These firms represent 9.1 percent of all U.S. firms. The three states with the most veteran-owned businesses were California, Texas, and Florida. Georgia ranks 6th among states with the most veteran-owned businesses. According to the report, there are 96,787 veteran-owned firms in Georgia. The three states with the highest percent of veteran-owned businesses in their populations were South Carolina, New Hampshire, and Virginia. Georgia ranks 16th among the states, with 10.4% of all businesses being veteran-owned businesses. The report shows that in 2012, veteran-owned businesses in Georgia reported sales of $35,745,281. This means veteran-owned businesses in Georgia ranked 6th in revenues, behind California, Texas, Florida, New York and Pennsylvania. The report is entitled “Veteran-Owned Businesses and Their Owners: Data from the U.S. Census Bureau’s Survey of Business Owners.” It is one of the only large-scale compilations of data on veteran-owned businesses in the United States, and it provides valuable data for analytical and policy-making. The full report is available on the Office of Advocacy’s website at https://www.sba.gov/sites/default/files/advocacy/435-veteran-owned-businesses-report.pdf and the research summary can be seen here. A Lithonia, Georgia contractor has been indicted by a federal grand jury in Savannah for allegedly scheming with former Chatham Area Transit (CAT) executive director Chadwick Reese and his maintenance director to defraud the transit company out of more than $200,000. 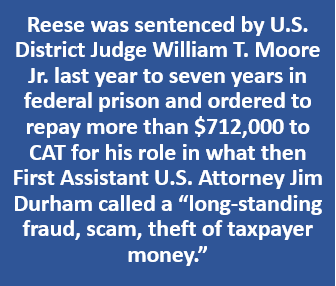 Anthony Florence, the 50-year-old owner of SR Contracting, allegedly schemed with Reese and former maintenance director Joel Morris, 54, through a series of bribes, kickbacks and concealment for work billed, but not done, for CAT. Florence, who supposedly was providing maintenance for bus routes, concrete repairs to parking lots and other services, submitted a series of 22 invoices to Reese for $4,750 each between Aug. 19, 2013, and Oct. 2, 2015, the indictment returned last week charged. Those invoices covered fraud between July 2013 and November 2015, the indictment charged. As part of the scheme cited in the indictment for mail fraud, Florence “would provide bribes and kickbacks to (Reese and Morris), including payments of tens of thousands of dollars worth of work done on the homes of each. The Trump Administration has compiled a list of about 50 infrastructure projects nationwide — totaling more than $137 billion, which could represent the core of major of domestic spending in coming years. The White House’s proposed investment priorities are outlined in documents obtained by McClatchy’s Kansas City Star and The News Tribune, published on jan. 24, 2017. One project in Georgia currently appears on the list of proposed projects — acceleration of the Savannah Harbor Expansion project. 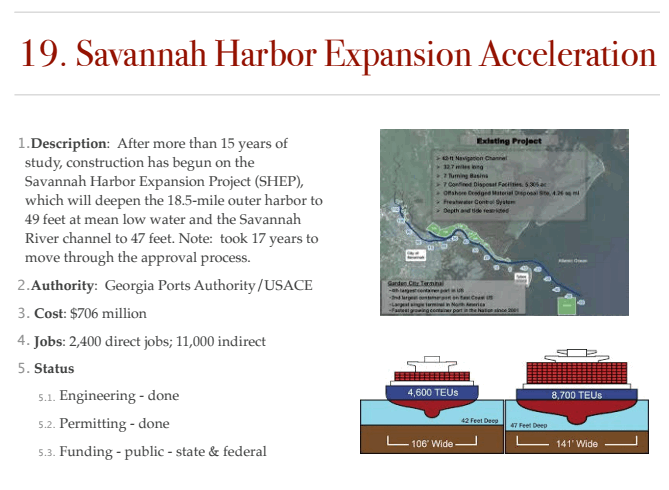 The acceleration of the expansion of Savannah Harbor appears as #19 on a list of 50 national infrastructure projects proposed by the Trump transition team to the National Governors Association. The team members at Beaulieu — a leading floor covering manufacturer headquartered in Dalton, Georgia — are working in conjunction with the Great Promise Partnership to help teens that are at risk from graduating high school gain confidence, earn a paycheck, complete their schooling, and alter their future. The program has these teens going to school in the morning and then working in Beaulieu in the afternoon, where they are valued team members in the plant, filling open positions and bringing fresh ideas to contribute to the processes within the company. The team at Beaulieu have been named the “Faces of Manufacturing for the month of April 2016 by the Georgia Manufacturing Extension Partnership. Read their inspiring story at http://facesofmanufacturing.com/portfolio/beaulieu/ and view their video at https://youtu.be/lsU7-Z17Tn4 as the teens talk about the impact this program and Beaulieu have had on them and as the Beaulieu team talks about the impressions these teens have made within the plant. In February, Governing magazine released a report ranking 39 states based on their procurement policies. They were ranked in 10 categories, including their use of technology, how they engage with vendors and how effectively central procurement offices work with agencies. Six states stood out as top performers: Georgia in the lead, followed by Virginia, Minnesota, Utah, and, tied for 5th place, Massachusetts and Ohio. Governing columnists Katherine and Richard Greene helped evaluate the states and saw tremendous variation in the ways states handle this important function. To hear more about how the #1 state got to be where it is, we interviewed Lisa Eason, the deputy commissioner of Georgia’s purchasing office, and her predecessor, Leslie Lowe, who retired in 2015. 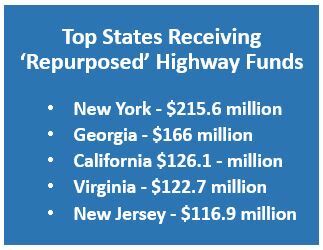 The Federal Highway Administration (FHwA) has laid out plans for redistributing to states about $2 billion—and potentially more—that had been set aside more than a decade ago for highway and bridge projects but is still unspent. The 2016 omnibus appropriations bill, enacted on Dec. 18, mandated the funding shift for the so-called orphan earmarks and said the money had to be parceled out to states by Sept. 30, the end of the current fiscal year. FHwA’s long-awaited announcement, released on March 8, is another piece of positive news for state highway agencies as well as road and bridge engineers and contractors. It follows the Dec. 4 signing of the Fixing America’s Surface Transportation, or FAST Act, which provided a boost of about $2 billion, or 5%, for highway and bridge funding in fiscal year 2016. Nominations for the 2016 Faces of Manufacturing are open through October 31. Why is Faces of Manufacturing so important? It grows the exposure of manufacturing as an integral part of Georgia’s economy. 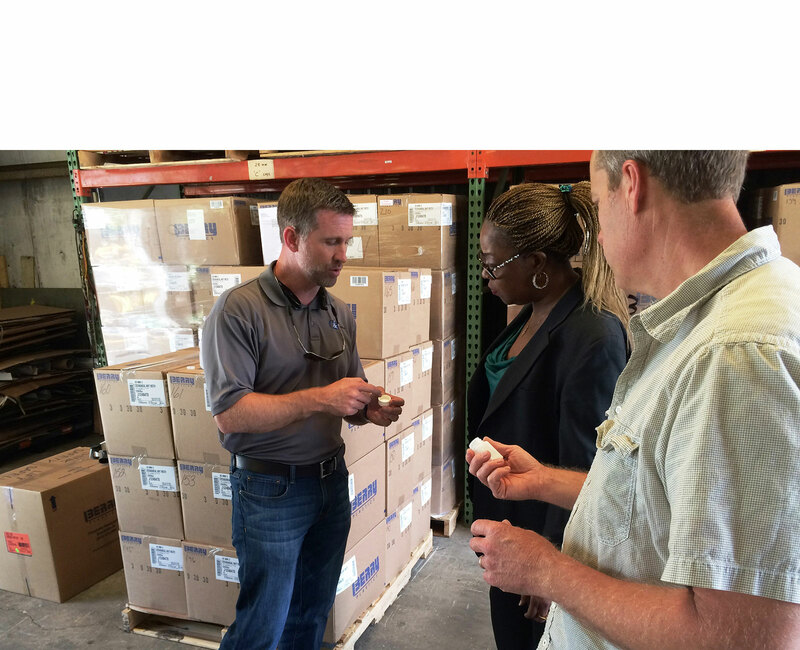 It gets younger generations interested in thinking of manufacturing as a viable future career. It draws interest of state representatives lobbying for and representing counties/towns across Georgia. Recipients of Faces of Manufacturing have earned local, state, and national recognition for their companies, cities/towns, and counties. Wouldn’t this information be helpful if you are looking for subcontracting prospects? Or when you’re trying to figure out who your competitors are? Each month, the Georgia Tech Procurement Assistance Center (GTPAC) publishes a list of federal contracts awarded to Georgia businesses. The list comes complete with point-of-contact information on the awardees, the name of the awarding agency, the dollar value of the contract, and much more.